Head over to our blog page to check out our latest album reviews, interviews, and festival coverage! That’s right! You demanded them and we have made them and now make them available for purchase via the World Wide Web. These WMXM t-shirts look great, feel great, and make great gifts. And we made it easy for you to buy them. Simply point your browser here. 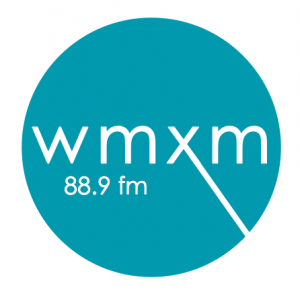 WMXM is a student-run radio station at Lake Forest College in Lake Forest, IL. We started broadcasting as an FM station in 1975, and we continue to bring independent music and other original programming to the airwaves—and the web—every day. As a free-form non-commercial station, WMXM offers a vibrant selection of diverse programming. Our goal as a station is to promote independent music, news, and culture. 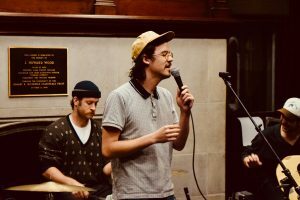 We want to give a voice to those things not commonly heard and provide a unique and free listening experience that breathes new life into the idea of ‘college radio.’ Thank you for listening. WMXM is completely run by volunteers. Every person who works at the station gives up hours to help make the station the best it can be. If you would like to get involved please email our General Manager Justina. We love to have students and community members alike involved in what we do. No matter how much time you have to give, WMXM has a place for you.